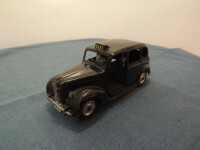 This model is the Dinky 254-G-6 Austin Taxi in black. The model features no opening parts, all features are cast into the body casting. At the front the headlights, grille, bumper and number plate are picked out in silver, and above the front windscreen is a white "TAXI" sign. 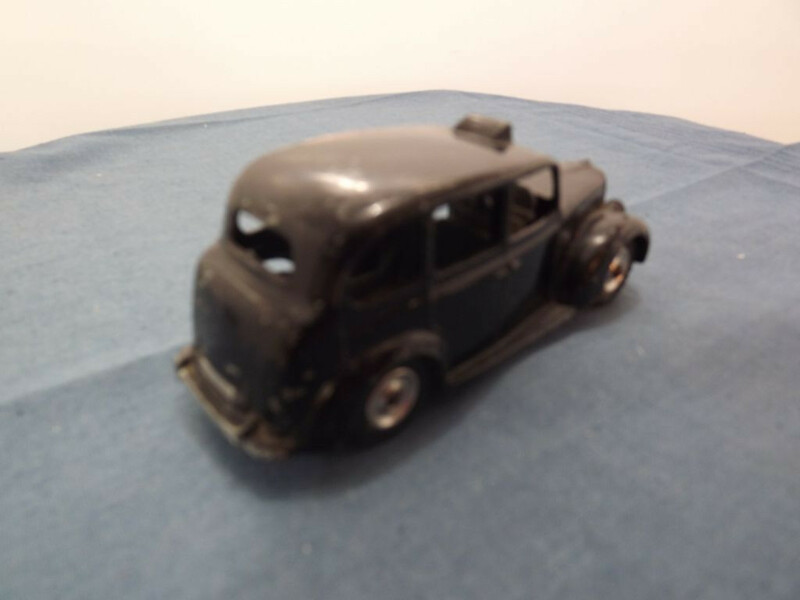 The sides show cast body lines and doors, the left hand side has an open luggage compartment with black and silver meter. The rear has a silver bumperadn number plate. The interior is cast metal (actually part of the cast baseplate) and comprises the area from luggage wall, driver and driver's seat, steering wheel and dash board. There is no rear passenger seat or glazing on this model. The front and rear wheel arches, and running boards are also details molded into the main body casting. All wheels are of the shaped turned metal type - solid one piece spun metal hubs with a separate black "rubber" tyre on a steel axle. 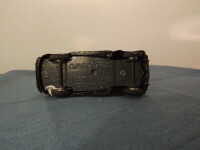 The base plate of this model is held in place by two machined rivets. It carries the legend Dinky Toys at the centre top, "Austin Taxi, Meccano LTD" on two lines at the centre bottom, "254" forward of the front axle, and "Made in England" to the rear of the rear axle. This item was issued between 1950 and 1962, evidenced by the use of the turned hubs.